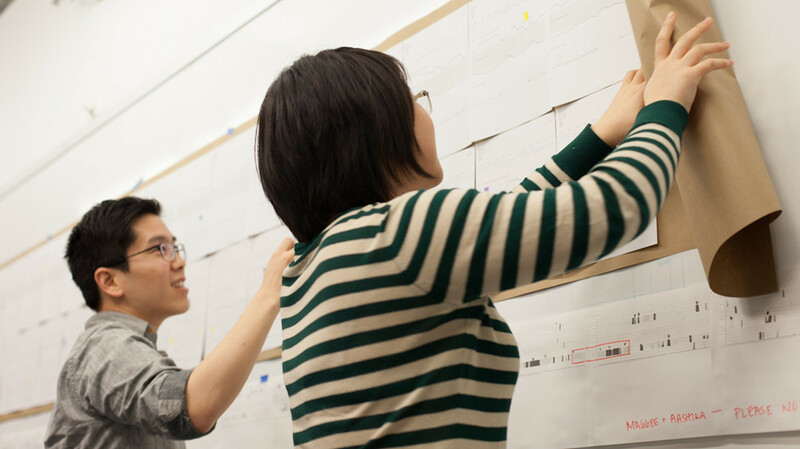 As part of our mission to nurture a diverse and global student body, the English + Design program allows talented international designers to pursue a graduate degree at IIT Institute of Design (ID). This unique program of study combines English for Special Purpose (ESP) instruction with graduate level design education. *Design electives that can be modified with approval of faculty and advisors. Students with TOEFL scores between 80-100 may be required to enroll in the English + Design program. For those students with TOEFL less than 80 or equivalent, IIT offers intensive English programs. Learn more. Students in the ESP + Design program complete 18 additional credit hours of instruction while pursuing their design courses. This adds one semester total to the standard MDes program. Visit our FAQ page for more information. If you have additional questions regarding our application process or requirements, please send an email to admissions@id.iit.edu or call us at 312-595-4900. Visit the International Applicants page to view specific information about joining our program from abroad.